Free up cupboard space with the handy Pantry Works Mug Holder from Spectrum. Stores up to six of your favorite mugs or tea cups in style. 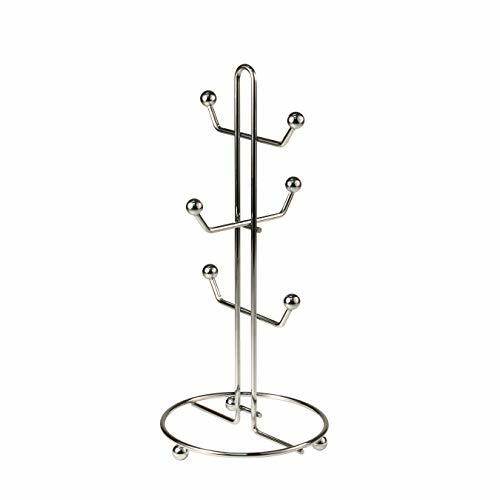 Made of sturdy steel, its clean and classic design will add a contemporary touch to your kitchen. Chrome. Measures 7.00"Depth X 7.00"Width X 15.50"Height.